With a body of work unparalleled in twentieth-century literature, J. G. Ballard is recognized as one of the greatest and most prophetic writers in the world. 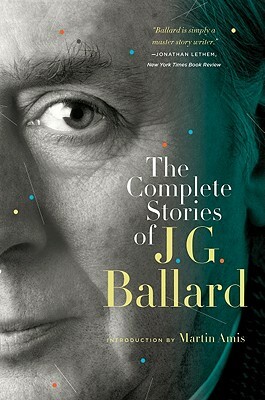 With the much-hailed release of The Complete Stories of J. G. Ballard, readers now have a means to celebrate the unmatched range and mesmerizing cadences of a literary genius. Whether writing about musical orchids, human cannibalism, or the secret history of World War III, Ballard's Complete Stories evokes the hallucinations of Kafka and Borges in its ability to render modern paranoia and fantastical creations on the page. A Washington Post Best Book of 2009, Boston Globe Best Book, Los Angeles Times Favorite Book, and San Francisco Chronicle Best Book.